The ps program can be used to take a snapshot of processes on your system. This post shows you some basic usage. 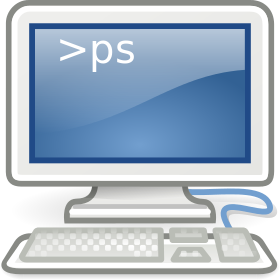 Ps accepts several styles of options (UNIX, BSD, and GNU). Unix options are preceeded by a hyphen, BSD options are not, while GNU options are preceeded by two hyphens. These different types of options can be mixed together, but some options combinations can be confused with others (for example -xyz may not be the same as xyz). See the man page for alternatives and a full list of options, meanwhile, here are some useful basics to get you going. NB: The program pstree can also be used to display a process tree. For a closer look at the ps command, read our advanced ps article.